I am not well-known, a politician or an academic guru. When I left education, I had a degree in philosophy and two words of career advice from the university (“good luck”). I was shallow, middle class, but a Live Aid generation kid – concerned and also optimistic about most things. One of the initiatives I helped to get going, with a team of others, was an idea to engage consumers in the challenge of global development. We had the oddest inspiration which was the quality label, Woolmark. Woolmark dates back to 1964. It is a simple beautiful label, which has an intriguing story. At a time when nylon, polyester and acrylic were on the rise, sheep farmers in Australia recruited a jury of designers and launched an international competition to create the Woolmark. One of the jury, Franco Grignani, couldn’t resist and entered the competition under a pseudonym. He died in 1999, never admitting he was the author. What we wanted to do, as one of the team leaders, Martin Newman, said was to do for global justice what Woolmark had done for sweaters. You wouldn’t have given us much odds – if you were a pessimist that is. Of course, fair trade was available already in specialist outlets, thanks to pioneers such as Traidcraft and Michael Barrat Brown’s TWIN. We were encouraged by the example of a coffee label that had gone mainstream produced by a co-operative of indigenous farmers in Oaxaca, Mexico (UCIRI, Union de Comunidades Indígenas de la Región del Istmo), sold to supermarket customers in the Netherlands under the label of Max Havelaar. To succeed, we thought we needed a different name. Max Havelaar is famous in Holland, and its former colonies, as someone who resisted Dutch imperialism. But not outside. We also thought that we needed not just a label but a set of fair trade rules that would form the basis of a system of certification. So we called it the Fairtrade Mark. It was me that removed the space between ‘fair’ and ‘trade’, which still pains me a little, from an English language perspective, when I see it on products, but meant that it could be trade marked as this was not a word in everyday usage. Together with Belinda Coote, then at Oxfam, in the lead, and Richard Adams, one of the key movers, I helped to write the first criteria. They were pretty poor, but they were a start. The development agencies backed the project. Meanwhile, pioneers such as Equal Exchange, TWIN and Traidcraft did the hard work of developing one of the first products, Cafédirect, with an emphasis on quality, ready to carry the Mark. What we faced, initially, were pessimists. I remember one supermarket chief saying to a colleague, Pauline Tiffen, that he wasn’t going to stock fair trade goods, because only vicars would be mad enough to buy them. He was wrong. Well, half wrong. The vicars have been a good market for us. Today, fairtrade is the best known social label in the world, benefiting over seven million people in impoverished farming communities around the world. 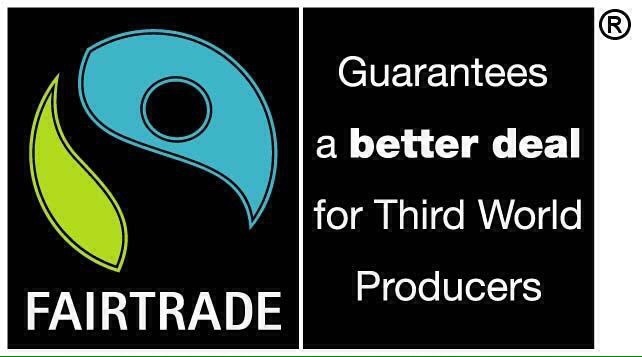 Three quarters of all fair trade is now produced by co-operatives. Of course, it is not all perfect. Beyond fair trade, the wider position of 500 million smallholder farmers around the world and their terms of trade has not always improved. The extension of the mark to plantations, such as for bananas, brought questions around labour rights, particularly for seasonal workers, the US has split off from the international fairtrade movement, in part to work more closely with corporate retail outlets, and there has always been the challenge of turning trade into lasting development. But it has value. A life spent in ethical business and markets has made me now, what I call, a ‘sceptical optimist’. 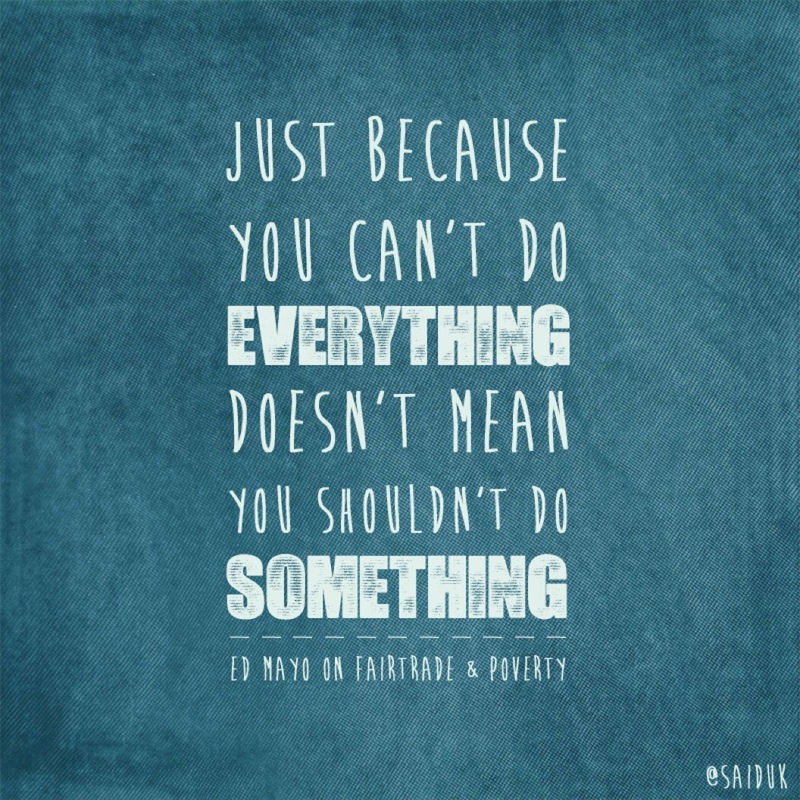 I believe that the fear that you can’t do everything shouldn’t prevent you from doing something. 2015 was a year of renewal for the UK’s co-operative sector. Together we successfully lobbied government on vital policy changes, generated mass media coverage during Co-operatives Fortnight, pioneered the Fair Tax Mark, introduced a best practice standard for community share issues, secured a £1 million fund to support business development – and much more. This year, 2016, we are setting three resolutions at Co-operatives UK to strengthen the foundations of a robust and growing co-operative sector which can give people of all walks in life more ownership and control. A strong co-operative sector needs a policy framework that allows co-operatives to compete on a level playing field with other businesses. For 2016 we will be focusing on building the case for transferring government responsibility for all co-ops, currently scattered across departments, to just one, the Department for Business, Innovation and Skills. With elections in Scotland, Wales and Northern Ireland, we will be working closely with co-ops and partners in devolved nations to make the case for a more co-operative economy, monitoring the parties’ manifestos in the run up to the elections and working to engage with the new governments after May. Our policy work will be supported by campaigns that bring together co-operatives across the UK to create a positive profile for the sector. Co-operatives Fortnight, from 18 June to 2 July, will focus on encouraging co‑operatives to run a ‘Big Co-op Clean’ and asking members of the public to ‘choose co-operative. We will be helping to spread a global marketing campaign for co-ops, while research on co-operative innovation and performance will provide a platform to promote the benefits of sharing ownership through co-operatives. This year we’ll be working with co-operatives of all kinds to develop a long-term strategy to start, strengthen and grow the UK’s co-operatives – a national development strategy created with and by co-operative organisations, from retail giants right through to working men’s clubs, wholefood collectives and sports clubs. The first element is a £1 million three-year partnership with The Co-operative Bank to provide business support for co-ops through comprehensive online resources, one-to-one support, peer mentoring and training, which will be available in late February. And core to all this will be continuing to provide our members with leadership and expert advice on governing high performing co-operatives – supporting best practice in constitutional governance, helping co-operatives make the most of their people though quality HR, supporting innovation in member engagement and pioneering community shares. As the network for co-operatives, 2016 will again see us bringing together people from co-operatives of all shapes and sizes. With major events like the Co-operative Retail Conference in March, Co-operative Congress in June and the Practitioners Forum in November, as well as more than 40 workshops and training events, there are opportunities to connect, share and learn with co-ops right across the UK. And our focus will be on bringing into membership of Co-operatives UK those co-ops that need the support. Farmer-owned co-operatives – which are involved in everything from grain and livestock to joint purchasing – will be a particular area of focus for 2016 as we develop a package of services to help give them a national voice and specialist business support. On these three priorities we can achieve more together than we can alone. As businesses based on partnership, our members know that better than anyone. 2016 will be a year of working together. Six weeks ago, a country new to the world declared its independence and set about developing a constitution for a sustainable and fairer society. The country is the Independent State of Jungle (ISoJ) and if you haven’t heard of it, that may be because it is rather small – an acre of land and allotments in Penryn, Cornwall. The founders are members of the Falmouth & Exeter Students’ Union, who crowdsourced their constitution through an open deliberative process over the course of a week. The questions they have explored are exactly the ones that the UK or any nation, if born into today’s world, would want to address. How should decisions be made? Is there a common purpose to the nation? What are the rights and the responsibilities of being a citizen? What relationship should exist with the wider environment? What emerged is a dreamer’s charter, with logic on its side. When it comes to education, for example, the consensus was not to separate out teachers and students in strictly defined roles, but to allow people to do both, always learning and always teaching. The new nation is Cornish hedged around its perimeter and includes an eco-build shed of straw-bales and cob constructed during the summer. The country is named after the JungleHouse Project, a mobile centre for environmental activism, creativity, art and ideas – most recently seen in Paris during the climate change negotiations – designed to be an open space to share ideas, experience and develop solutions. 2016 could be a good year for dreamers. In a wider mood of insecurity and fear, hope can play a surprisingly powerful role. There is a pedigree too for utopians as November 2016 marks the five hundredth anniversary of the publication in Latin of the book Utopia by Thomas More. More presents a traveller’s tale of an ideal society living on a fictitious island. More’s Utopia (‘no where’) is an island two hundred miles across, with fifty four cities, and organised on very different lines that More imagined to the Tudor England he inhabited. The term ‘utopian’ was used by Marx and Engels in the nineteenth century Communist Manifesto as a term of abuse. But utopian thinking has lived on, in art, in radical thinking in economics and philosophy, in literature, such as in the field of feminist science fiction. Imagination is the most powerful tool that we have for social change. By re-imagining the world around us, we can put it together again in a different way – first in our minds, then in our stories and ultimately in reality. Margaret Atwood’s Maddaddam Trilogy is an example of new fiction, equipping us for action today by helping us to imagine how a tomorrow shaped by climate change might turn out. A celebration of modern utopianism across 2016 is lined up to launch later this month, to mark the anniversary at Somerset House in London. It is organised in concert with King’s College London and The Courtauld Institute of Art. An international research conference on the same theme is due in July, with other events worldwide. Simon Burall of Involve, the participation charity, argues that 2016, with all the tensions and constitutional questions of the UK today, is exactly the time to explore new ways to develop a more visionary, deliberative democracy – a scaled up version of the Cornish experiment. Today’s diggers and dreamers like the allotments-turned-Independent State of Jungle are inspired by what Roberto Unger, the Brazilian theorist, calls the ‘spirit of possibility’. And they are not alone. Paul Hawken in his book, Blessed Unrest suggests that there are probably two million organisations in the world of people at the local level who are experimenting with co-operative economics, working to protect local ecological systems, supporting indigenous peoples, fighting for social justice in different ways. So, if you want my tip for 2016, it is to invest: invest in hope and dreams.